Now this was fun - the kind of project that makes me happiest these days. No deadline, no guidelines, no real purpose other than an idea I had that I needed to pursue. Remember my improv string block from January for our guild's BOM? Yeah, well I couldn't get one little element out of my mind. It needed to be explored further - that small square wrapped in string strips. Actually, the above photo shows the final quilt top. Until I let it be overnight. In the morning, I woke up knowing I needed to tweak the bottom left corner. oh yeah. Much better. 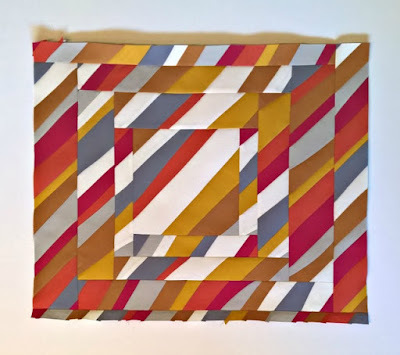 Quilting this 25" mini took a while, but the matchstick quilting was so worth it. I gathered a bundle of coordinating Aurifil threads - #2021 (Natural White), #2140 (Mustard), #2230 (Medium Peony) #2600 (Dove), #2610 (Light Blue Grey), #2975 (Brass), and #4020 (Fuchsia). I randomly switched between threads as I felt like it, just enjoying the effect. In this case, it really seemed the more the merrier. So once this one was finished, it was quickly bound and taken out for a little photoshoot in my mom's garden before the rains came. 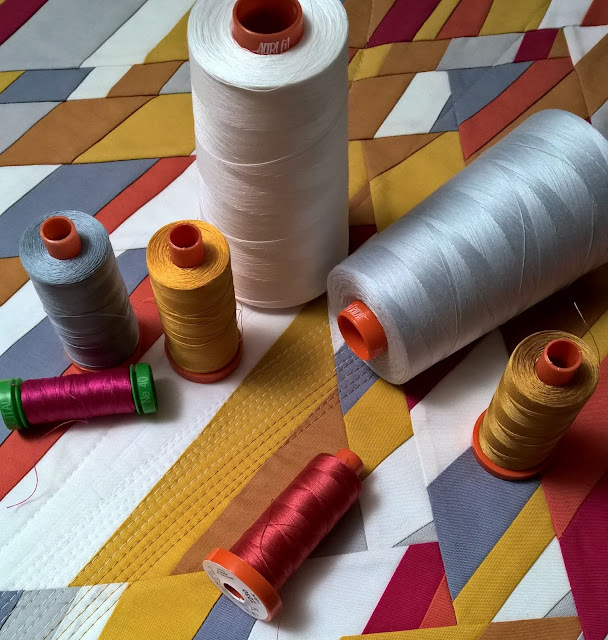 I noticed once I was home editing photos that I'd rotated the quilt in nearly every shot. Funny though how we always know the 'right' orientation, when to a casual onlooker, it may not be obvious....just another part of the fun of improv. That is absolutely gorgeous, Debbie! Love it!! Adore!!! I just love the flow and then the hard lines...so creative, I am going to have to try this soon. The colours work so well together but I would never have thought to select that palette. Fabulous finish! I really love the dense quilting on this - the last photo really shows the whole composition so well! It's gorgeous! 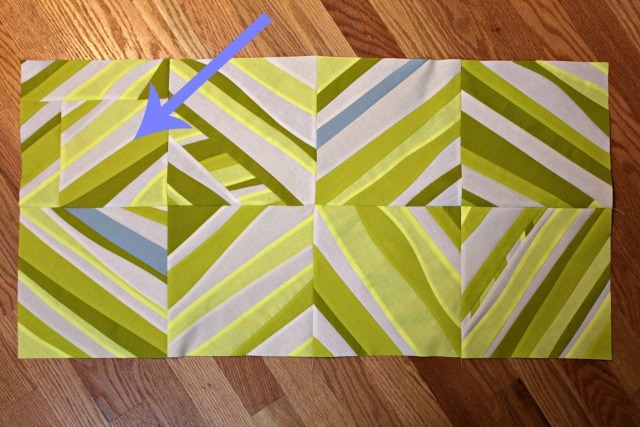 The quilting almost looks as if you quilted each segment separately. I can totally see this design as a much larger quilt- not just a mini! I love the colors and the square in the bottom corner! 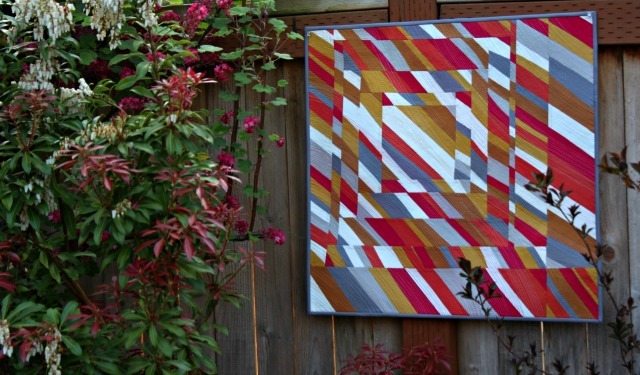 I love the design and the quilting ! Love this one - the colors the idea but your right I really like it with the square in the lower right vs the left. Maybe has to with flowing downward vs up in my mind eye lol great finish! 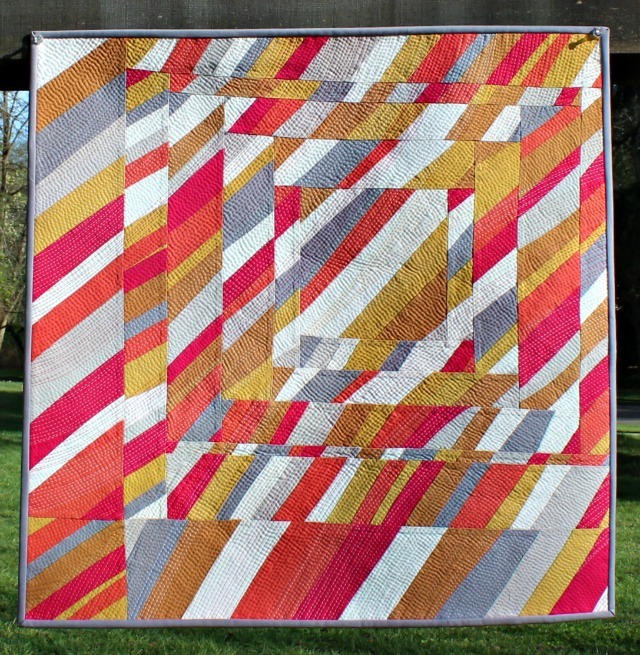 Grandiously Quilt! I Love it!!! Wow, that little corner change makes a huge difference! 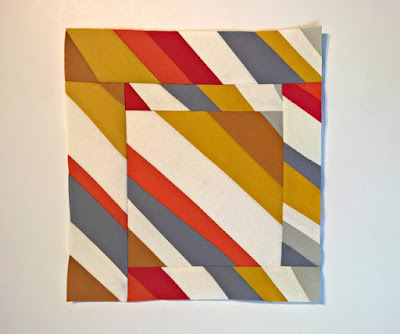 Great job and I love the quilting, too!! How exciting! I've seen a number of string quilts but yours adds improv to the improv technique. Thanks for sharing. 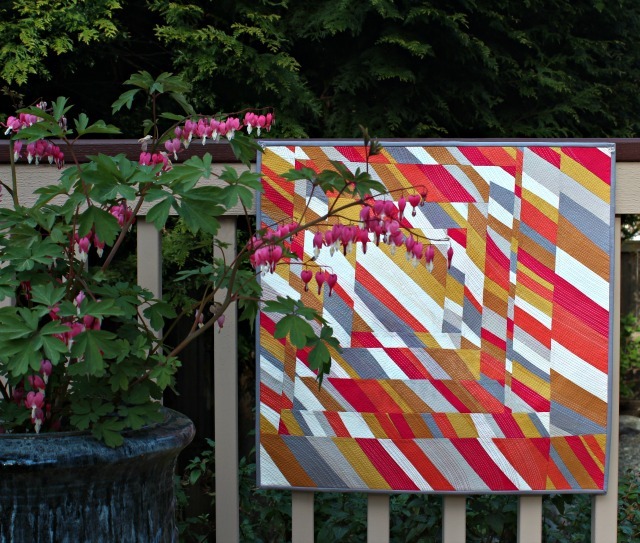 Really beautiful photos of a stunning quilt. Love it! There's just so much movement! 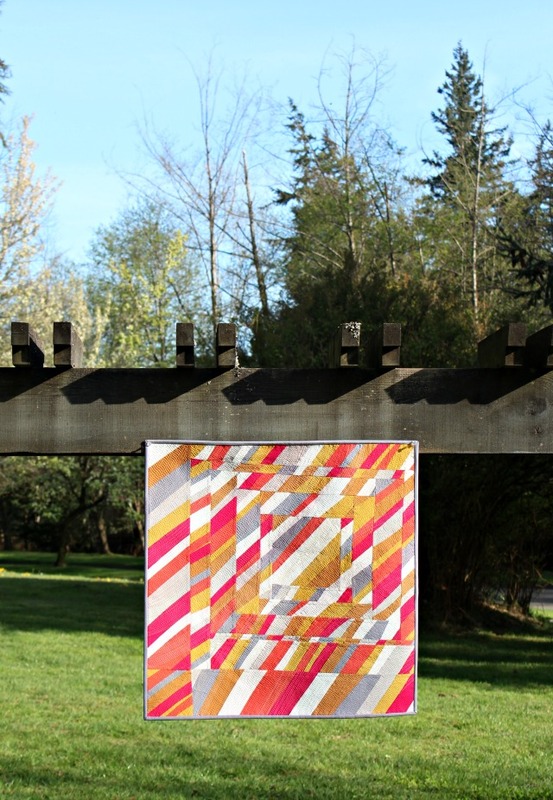 I am absolutely in love with this quilt! It is over the top! Wonderful! Did you pull solids from your stash or buy them for this purpose? This would look fabulous as a big quilt..........love it!!!!! Debbie, this is amazing! The quilt looks ALIVE! Wow! And all that straight matchstick quilting is perfect. Congratulations on a dramatic finish! I do believe this is one of my favorites. I agree with Marianne . . . this would be great as a large quilt. this is really fantastic! I didn't get the feel of the quilting on IG. Awesome!!! 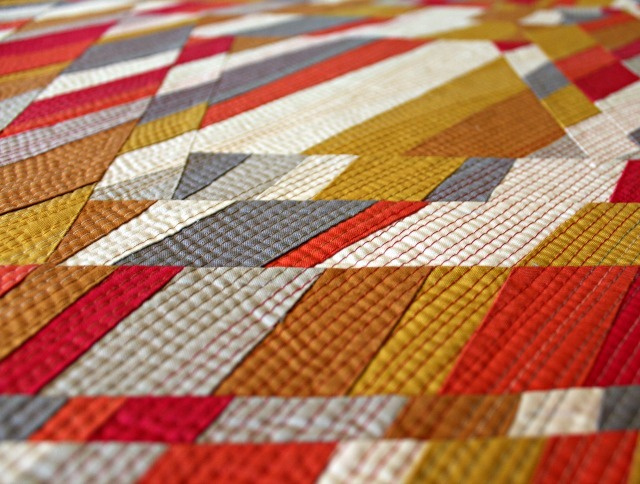 I love the matchstick quilting. Beautiful. I totally get having to get something out of you head...and creating just to create! I need to get back to that. This is simple beautiful!! You nailed it in every department! Wow! This is super cool! My eye went right to the quilting, love the texture it creates! Wow! This is stunning. It reminds me of abstract "art" I'd do using microsoft paint as a kid... only way way cooler! Gorgeous little quilt Debbie! And awesome photos! 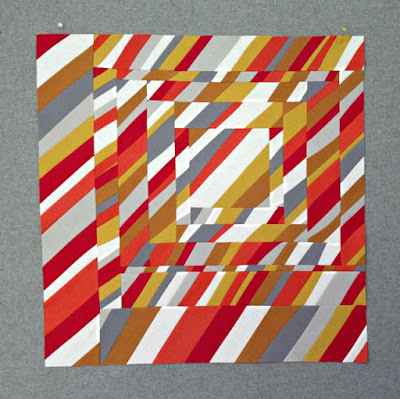 There are not many quilts I wish I could touch, this one certainly is one of them. Such a great texture! Love everything about it! Oh my goodness this quilt turned out AWESOME!! Great job!!! !